A 1 hour private speed boat trip! 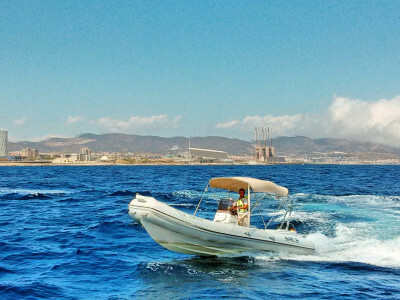 Looking for the most extreme water transport available for your stag do in Barcelona? You can’t get any better than a private speed boat! On this thrilling ride your group of between six and 11 will tear through the cool seas of the Med, with Barcelona’s glistening coast in perfect view! With the wind against your backs, you can take a break from the warmth with a refreshing swim in the cool waters, and take in the stunning Barcelona skyline from the sea.